The Science and Language Centre was occupied in 2012 and officially opened in the same year. The centre contains eight learning spaces used by students in years 7 to 12. These include an environmental science room, chemistry room, laboratory preparation room and a number of smaller conference style rooms. An open amphitheatre is also a feature, as well as a kitchenette in the German room. 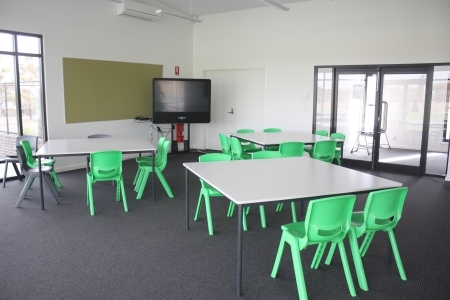 Three classrooms in the science and language centre are equipped with access to the Grampians Virtual School network, enabling students and staff to connect with other classes across the state for both teaching and learning. The Dimboola Health and Fitness Centre is the showpiece of the sporting facilities available at to students at the Dimboola Memorial Secondary College and the wider community. 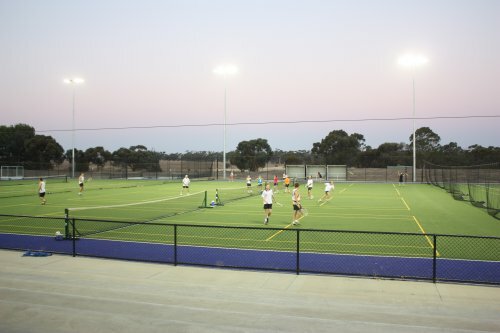 This facility was opened in 2012 and consists of a multipurpose function room which can be divided into two separate spaces, a fully equipped kitchen, gymnasium, two change rooms and a synthetic playing surface which is lined for both hockey and tennis (12 courts) and it lit for night events. This facility is managed by DMSC but is overseen by a committee representing the user groups which include the three schools in Dimboola, the Hindmarsh Shire, the Wimmera Hockey Association and two local hockey clubs and the Dimboola District Tennis Association and three tennis clubs. It is well used by all of these and is also available to be hired by others. 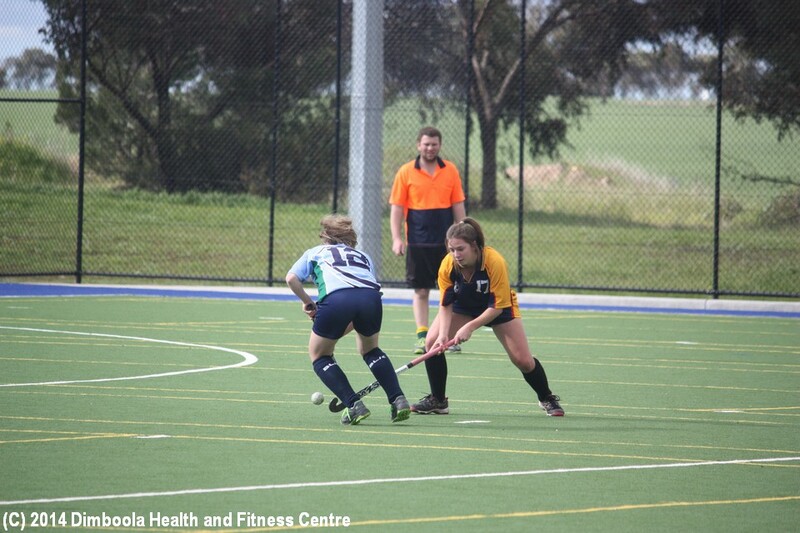 Hockey Victoria, Lacrosse Australia and School Sport Victoria are three regular users. The gym is open to the public outside of school times upon the purchase of a membership. The function room is used by the school as a class room and it is a regular venue for many local organisations' meetings. For more information about this facility, click here to go to the Dimboola Health and Fitness Centre website. This is the largest such space in Dimboola which can accommodate up to 500 guests and is regularly used for school assemblies, dramatic performances, debutante balls and awards evenings. A recent addition to the complex is the extension which when opened up increases the capacity of the hall and when partitioned off provides three additional classrooms which can also be utilized by the community as function rooms. The hall incorporates a traditional raised stage area with associated sound and lighting for performances, two change rooms and has access to the commercial kitchen for catering. The commercial kitchen is in the Assembly Hall complex not only provides an excellent catering facility for functions in the hall, but is also a valuable teaching space. Up to 16 students can be accommodated with one and a half metres of bench space and two stove tops each. There is also one oven for every four students along with a large Combi oven, a deep fryer, mixers, kitchen aids, food storage areas and a large freezer.